Groupon's investors are skittish -- and they're taking half-bad news as all-bad. The company's second-quarter earnings more than doubled expectations, but investors focused on a revenue miss and punished the stock. After the closing bell on Monday, Groupon reported that it earned 8 cents per share (excluding some charges) versus the 3 cents that analysts polled by Thomson Reuters predicted. Groupon's sales rose 45% over the year to about $568 million -- but that still missed the $573 million that analysts expected. Groupon (GRPN) shares were off nearly 18% following the announcement. The stock actually ended the regular trading day higher, but shares are still struggling in a difficult market for newly public Internet companies. Groupon shares are down almost 75% from their November IPO, and off nearly 65% in 2012 alone. Executives faced analysts' questions on a post-earnings conference call, and as expected, the first was about how the company accounts for its relatively new product-sales business Groupon Goods. 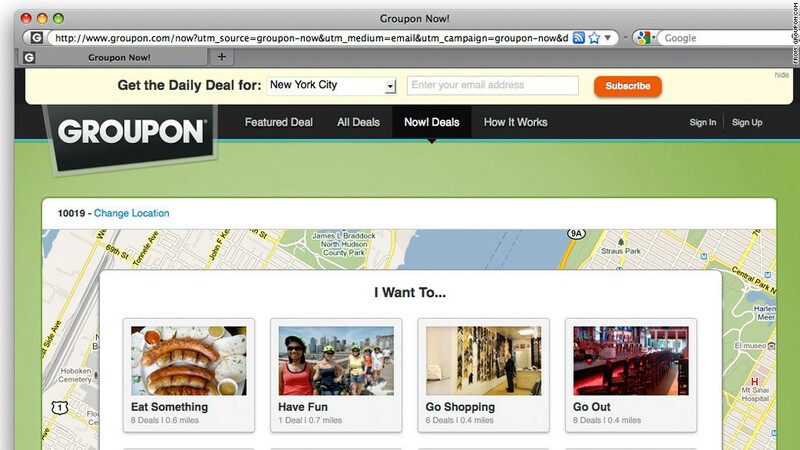 Groupon records Goods revenue on a gross basis. For its other businesses, like coupons, Groupon accounts for them on a net basis -- that is, it strips out the money that it hands over to the merchant offering the deal. Sterne Agee analyst Arvind Bhatia said in a note last Wednesday that he thinks the Goods accounting is "appropriate," but when mixed with other sectors of the business it appears to be "artificially boosting revenue growth." Other analysts echoed that concern. On the call, executives explained that Goods falls under Groupon's "direct revenue" sector -- in addition to a handful of specific daily deals like travel vouchers and movie tickets. Direct revenue totaled $65.4 million this quarter, compared with $19.2 million in the first quarter. Groupon founder and CEO Andrew Mason talked up the success of Goods, saying it's indicative of "the power of the consumer brand we've built through our local business deals." Meanwhile, the company's outlook for the third quarter came in line with analysts' expectations. Revenue is expected to be between $580 million and $620 million, and operating income is predicted to be between $15 million and $35 million.